Home › AIDC › A new political environment? There are moments in history which give glimpses of what the working class can do. They are moments in which workers together assert a power in which we can see the seeds of a different future. 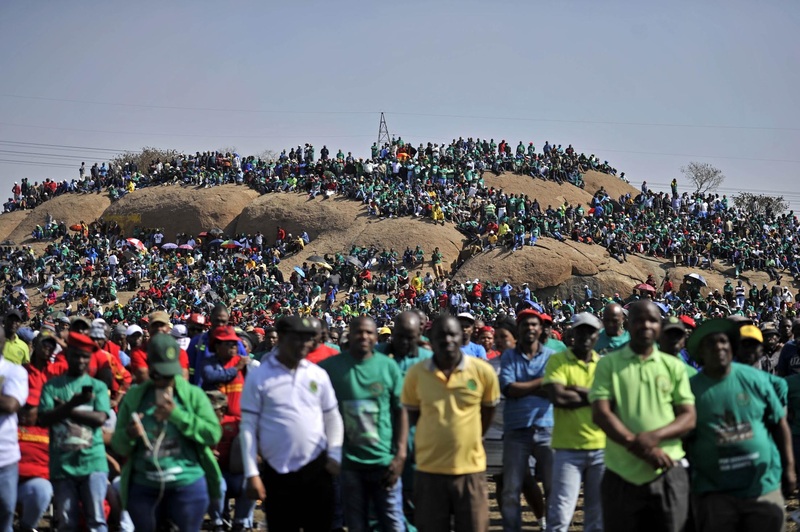 In August 2012, the workers on that mountain in Marikana created such a moment. They gave birth to what we can call the Spirit of Marikana. It is under this spirit that we see the revival of the working class movement in South Africa. The workers took that spirit to the platinum strike. We saw it in the farmworkers strike. We saw it in the many land occupations that resulted in the establishment of informal settlements called Marikana in many parts of South Africa. We saw it in the way the EFF was born. Recently we saw it in the April 25 general strike when Saftu called for R12,500 as a living wage. Without Marikana there would be no Numsa broken from the ANC and SACP. There would be no Saftu with Numsa at its core. No workers who had the taste of being on the streets. No millions of workers who saw the general strike and wondered about their own place in that struggle. Instead, there would be Cosatu and the SACP, supporting Ramaphosa’s government, supporting the labour law amendments, supporting the starvation minimum wage. It is workers themselves through their struggle and action that gave birth to the Spirit of Marikana. It did not just happen. Workers carried it. The question then is, how are the left and the socialist forces relating to the Spirit of Marikana. Are they protecting, nurturing and developing it? Or do they just use it to achieve ends that undermine it? With Amcu and the EFF we see the politics of the big strong man and the big strong organisation. The problem here is that it can become about the leader and the organisation and not about the working class that made the leader and organisation possible and visible. The strikes of 2012 on the platinum belt were not led by any union, they were led by workers who organised themselves into workers’ strike committees. The farmworkers also formed their committees to organise their strike. We see Saftu and Numsa going down the correct road but not going far enough. When it comes to the leadership of these organisations, we should not expect miracles, because of their long history with ANC and SACP politics. In fact, we should celebrate that they managed to break out of that political prison called the Tripartite Alliance. The organisational break must be a political break. The challenge is to break totally with the ANC’s bosses’ politics and the SACP’s support for it. Part of the break is accounting for and understanding past mistakes. The biggest danger for Saftu and Numsa today is the idea that we need Saftu in order for us to sit in Nedlac. Doing this would be like knocking on the front door and agreeing to enter through the back door because someone shouted “Round!”, as happens in township houses. Given the global capitalist economic crisis, I don’t see a way forward for workers anywhere in the world under capitalist rule. There is certainly no way forward in South Africa under a Ramaphosa capitalist government. NUMSA is on the right path calling for and organising a political party of the working class. This is what the working class needs: its own party built on a socialist programme. Such a party should not focus on winning votes in parliament, although doing so is necessary. Rather the party must be that “tribune of the people” that Lenin talked about. It must put forward a socialist vision and be the supporter of all struggles pointing them towards unity aimed at fighting against and overthrowing the capitalist class. The party’s slogan must be: No solution under capitalism. The party must develop programmes and policies aimed at installing into power a workers’ government. Every ordinary worker must be able to join the party and participate in all its programmes. The time is long overdue for NUMSA to allow the party to build its own structures and to go on a vigorous recruitment drive aimed at getting millions to join. The millions will only join if they are encouraged to, and if the party puts forward a programme of campaign demands in which every worker will find herself or himself. The EFF is a young, exciting, new political party which bases its politics on a platform called Marxism-Leninism-Fanonism. The SACP is a century old political party which bases its politics on a Marxism-Leninism of a special type, namely, the National Democratic Revolution. The SRWP is still in its incubation phase but says it is founded on Marxism-Leninism. On the surface, therefore, there is a lot in common in these three parties, in particular fidelity to and idealisation of the Freedom Charter and its multi-class politics. If these parties came together on this basis, I would say, with all due respect, nothing would have been achieved. 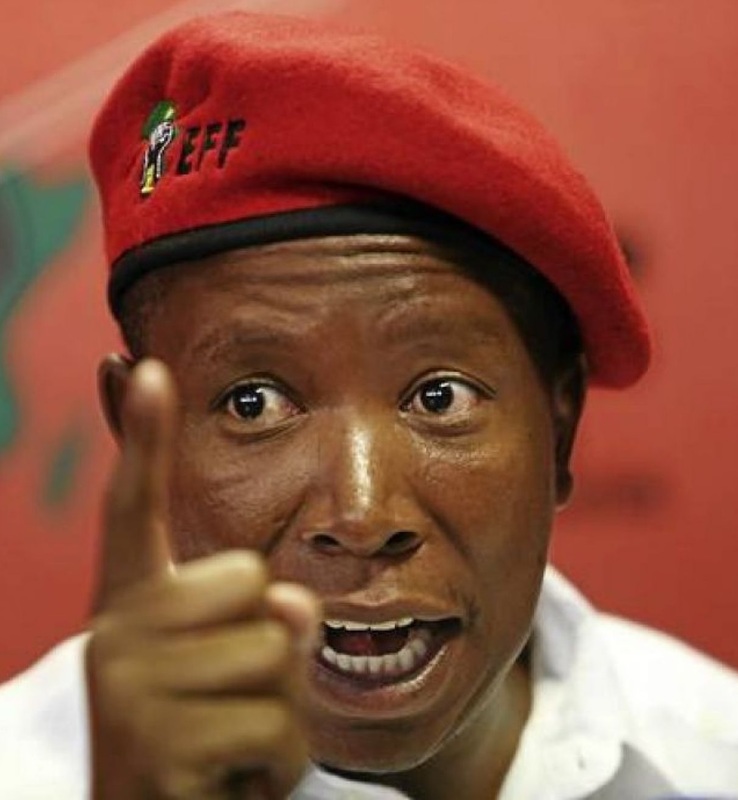 It would be taking us back to where we come from, repeating the same mistakes which led to the split of the ANC Youth League leaders from the ANC to form the EFF and the expulsion of Numsa from Cosatu. A left bloc in the 2019 elections? It is most important that a workers’ platform be put forward in the 2019 elections. Workers must be afforded real choices during elections. The SRWP should make haste and if necessary put forward a workers’ list of candidates that will be nominated on the basis of the principles of the Paris Commune, namely, right of recall, salaries equivalent to a skilled worker, and strong mandating and reporting back if elected. • The demand for a living wage based on the Marikana R12,500 plus CPI escalation. • Rejection of Ramaphosa’s anti-strike laws and the demand for the untrammelled right of workers to strike. • Firm measures against domestic violence, woman abuse and child molestation. 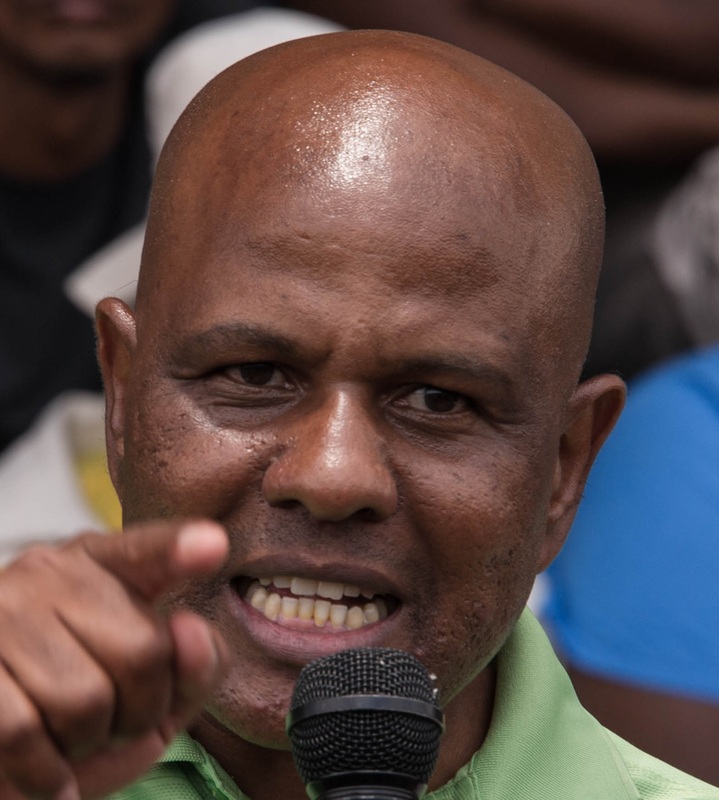 There are various local community groups, social movements and smaller socialist parties that the SRWP could form a bloc with, namely, Socialist Party of Azania, Workers And Socialist Party, Operation Khanyisa Movement, including those that ran under a United Front ticket in 2016. Some of these organisations might choose to simply join the SRWP. The most important thing would be for such an electoral platform to get endorsement from Saftu, Numsa and other working class organisations. It should be projected as the workers’ choice. It is possible that the EFF could make common cause with the workers’ platform. However, this will be difficult if it chooses to continue with the DA and form a bigger coalition with other opposition parties in the quest to topple the ANC. In that case joining hands with the EFF would be crossing the class line. An eco-socialist politics is key for the SRWP and any form of left renewal in South Africa and the world. The bosses are busy destroying the world. They are blinded to the devastation they are causing by their profit-mongering. The solution to this problem is a political one. Policies are necessary to change to low carbon economies with robust “just transition” mechanisms so that no worker suffers from such changes. Such policies are only possible under a workers’ government. It is most important that we fight for capitalist governments to implement ecologically sound policies. Their political bankruptcy can thus be exposed and the argument for the overthrow of capitalism and its replacement by socialism be made stronger. Saftu is central in the fight against the economic devastation that workers suffer every day and which is getting worse. I am focusing on SAFTU because unions are pillars of the working class movement. Saftu is fighting for the right to strike. This is the biggest task in Saftu’s things-to-do list. It is probably the most important political right for workers under capitalism. SAFTU must be democratic and let everyone organise according to their politics. But it cannot be apolitical. It can be independent of the politics of the bosses but not of workers’ politics. It must be there to help build and support a workers’ political party. Under a constitution and a government that allow the bosses to keep the wealth, there can be no nationalisation without compensation under workers’ control. We don’t need private ownership by the bosses. We need workers’ collective ownership, workers’ control, a workers’ plan to produce together what we need for a comfortable life – a workers’ government. Trevor Ngwane is the chairperson of the United Front (Johannesburg Region) and a member of the Socialist Group.